Henry Gimenez donning the Bologna colours. Gżira United pulled off a major transfer coup yesterday when they signed the much-travelled Henry Gimenez until the end of the season. The former Uruguay international arrived in Malta yesterday afternoon, having already agreed personal terms before putting pen to paper on his contract. 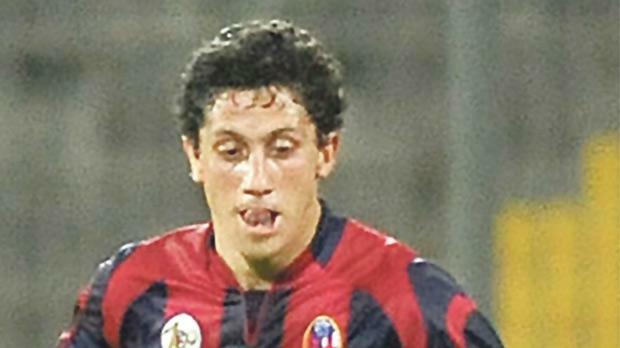 Gimenez, 30, brings with him bags of experience to the newly-promoted side after his positive spell with Bologna between 2010 and 2014, having joined them from Montevideo’s River Plate. At the Italian Serie A club, Gimenez made 60 appearances, netting six goals along the way. Last season, Gimenez was on the books of Ecuadorian club Mushuc Runa SC after brief loan stints with Grosseto, in Italy, and top Uruguay club Nacional. Gżira will be banking on Gimenez to apply his vast knowledge of the game on the pitch to help them turn their fortunes after a poor run of results. Last week, they suffered a third successive defeat when going down to Floriana 1-0, a result that left them third from bottom on nine points in the league standings. Gimenez is the second player with Serie A experience at Gżira. Back in summer, at the start of the current season, they had signed Senegal defender Sou-leymane Diamoutene, formerly of Roma and Bari. If Gimenez’s transfer documents reach the country in time, he will make his debut for Gżira in Saturday’s Premier League clash against St Andrew’s at the Tedesco Stadium.